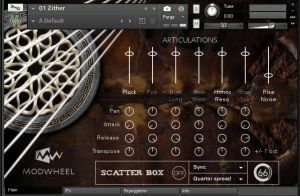 MODWHEEL has announced the release of A Psaltered Zither, their latest virtual instrument sample library for use in Kontakt. 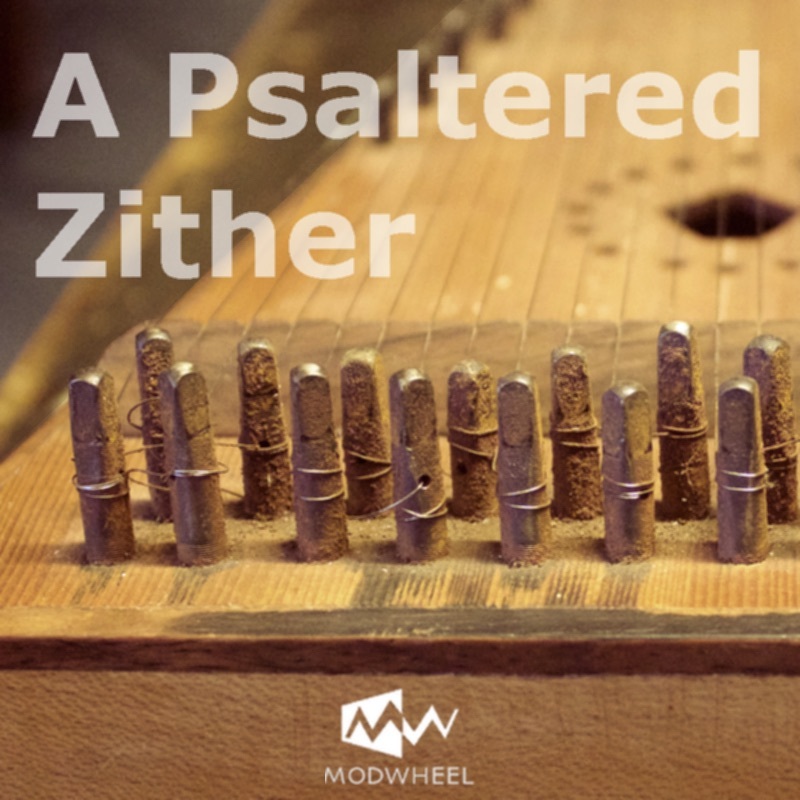 The library is built around the zithers, psaltery and other odd, stringed instruments that have been collected or built by the MODWHEEL team over the years. 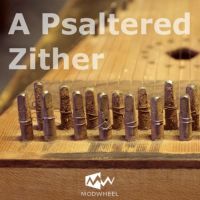 MODWHEEL say "Initially we were thinking the different articulations we were recording would develop into their own separate patches, but as the process went on we became interested in what it would be like to be able to combine the plucked or struck zither attacks with the more sustained bowed sounds like the psaltery produces. Eventually we settled on a layout that gave access to each instrument's articulations within a single patch, allowing the user to mix and match, as well as manipulate each articulation separately." This process slowly developed into what was to become the A Psaltered Zither virtual instrument sample library. Zithereens (features a more dulcimer type sound). African Lute (a six string lute, with a metal sound board). Kachapi (small two string Sumatran guitar). Can Bau (MODWHEEL's take on a Vietnamese Dan Bau). 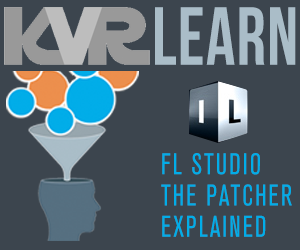 There are also four additional patches of percussive and extended effects. 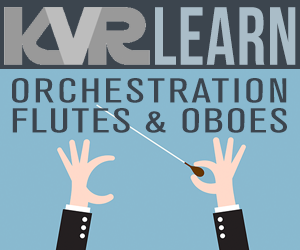 Each instrument has been plucked, picked, bowed, struck, rattled and extended in whatever ways the MODWHEEL team could come up with, giving each instrument up to six articulations. Each articulation has access to pan, envelope and transpose (up or down one octave) controls. 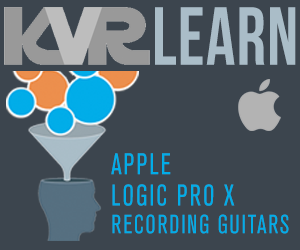 This allows for layering and combining the different sounds giving huge tonal possibilities. When not in use, articulations can be switched off to conserve CPU usage. The sync'd section allows for very characterful delay type effects, that will sync to the tempo of your DAW. 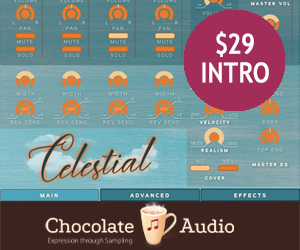 The atmos section features longer events and some tonal elements that work well with pads and longer atmospheric articulations. The non sync and reversed sections give even more access to sound manipulating possibilities. A Psaltered Zither also comes with 127 snapshots of presets, pads, atmospheric, and Arpeggiated rhythms. Each patch features access to a full range of effects, via the FX tab - distortion, rotary, tremolo, phaser, chorus, delay and low pass filter. 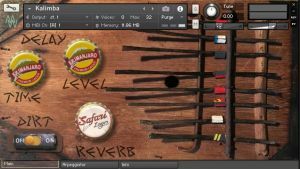 The patches also feature tabs that take you through to the arpeggiator controls as well as an info section, where each patches functionality is explained. 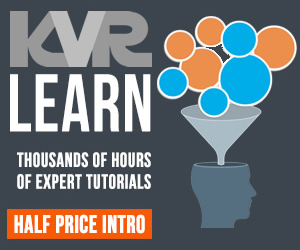 Audio recording format: stereo, 48 kHz / 24-bit. Size of recorded sample pool: ca. 3.69 GB ncw compressed. File format of samples: 2874 samples in .ncw / lossless compression format. 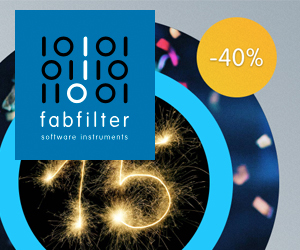 File format of instruments: .nki (built with Kontakt** v. 5.6.6). A Psaltered Zither is being released at the special intro price of US$ 65 (usually $89). 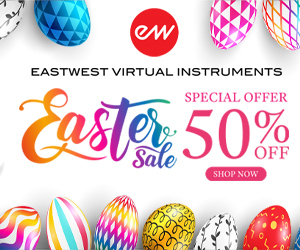 While the intro deal is on, buyers will also receive a free virtual instrument, MODWHEEL's take on the Kalimba. 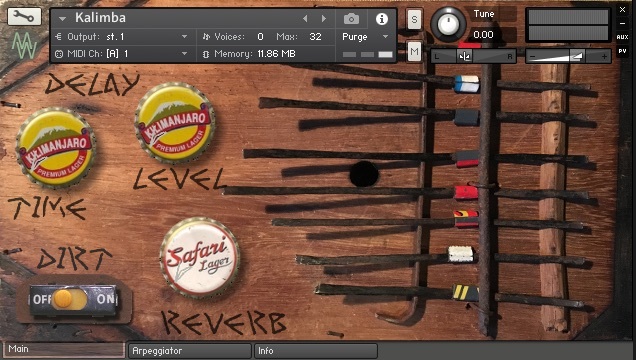 A Psaltered Zither and Kalimba requires a full version of Kontakt 5.6.6 or above. 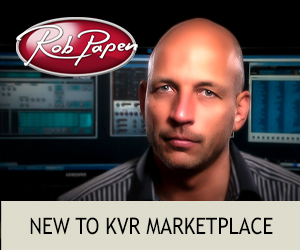 It won't work with the free Kontakt Player.